Once in a blue moon, commercials make the unlikely leap…to Hollywood. Some become big hit movies, others inspired popular songs. One even became a TV series that was voted one of the worst sitcoms of all time. But that’s what can happen when an ad hitchhikes to Hollywood. Once in a blue moon, commercials make the unlikely leap…to Hollywood. Some become big hit movies, others inspired popular songs. One even became a TV series that was voted one of the worst sitcoms of all time. But that's what can happen when an ad hitchhikes to Hollywood. In 1979, Coca Cola came out with one of the most beloved Super Bowl ads of all time. 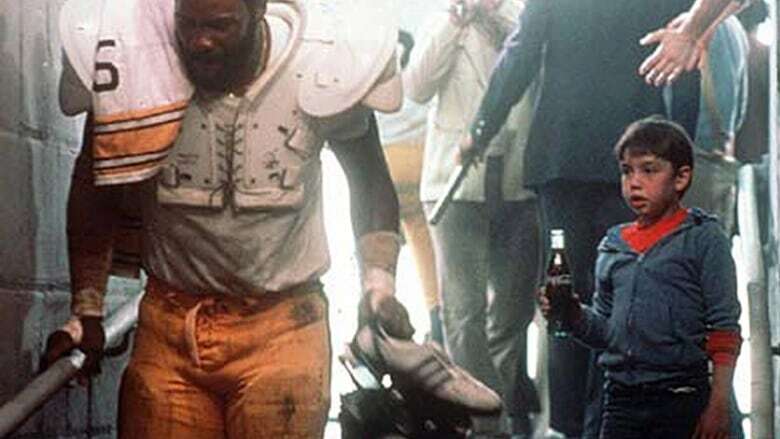 It showed legendary Pittsburgh Steeler "Mean" Joe Greene limping to the locker room after a tough game, when a star-struck boy offers him his bottle of Coke. By the way, Greene struggled with delivering that classic line. He had guzzled 18 bottles of Coke during the shoot and burps kept getting in the way. And they were big 16-ounce Coke bottles because his large hands made the regular bottle look too small. The Super Bowl ad was so successful with viewers, NBC commissioned a 1981 TV movie based on the commercial called: The Steeler and the Pittsburgh Kid. It told the story of a young boy who is temporarily adopted by Mean Joe Greene and his team. The players then become inspired by the boy's love of football. Greene, of course, played himself. And the boy was played by Henry Thomas – who just one year later would go on to play Elliott in E.T. An ad that became a made-for-TV movie that definitely made Coke smile. In 2004, Geico aired a 15-second commercial saying that its website was so easy to use, "…a caveman could do it." The ad agency behind the idea believed that, quote: "Laughter was almost as universal as a lack of interest in car insurance." By 2008, the Cavemen were voted best advertising mascots of the year. When a fake trailer surfaced on YouTube for a Caveman movie, the ad agency got the idea to pitch a caveman sitcom to Hollywood - and received an enthusiastic response from ABC. The script focused on three cavemen who were repeatedly humiliated by Geico's tagline. It would be called…Cavemen. But the resulting sitcom didn't sit right with viewers. To many, it came off as blatant commercialism and the reviews were overwhelmingly bad. After just six episodes, Cavemen was cancelled. Today, you can find it on most "Worst Sitcoms Ever Made" lists. Car insurance: So easy a caveman can do it. Turning an ad campaign into a successful sitcom: Not so much. The commercial was so successful Nike made another the following year. This time, it took place in outer space. The commercials were some of the first ads to tap the nostalgia of Looney Tunes. The animation appealed to kids, but Bugs tugged on the heartstrings of boomers. That gave Warner Bros. an idea. They wanted to turn the ads… into a major motion picture. 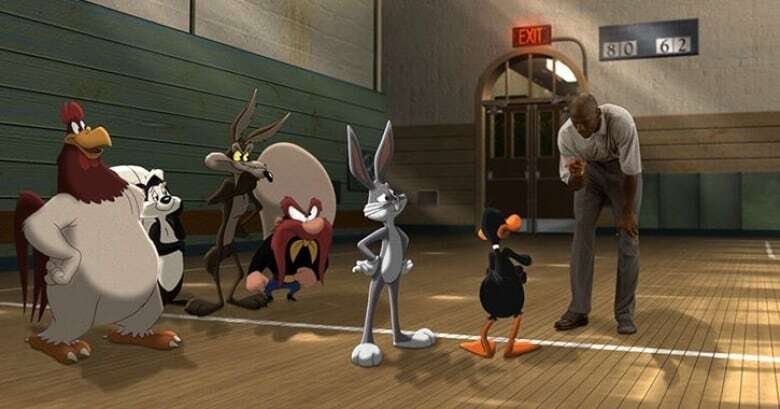 The plot: When evil aliens threaten to kidnap the Looney Tunes gang, Bugs Bunny challenges them to a basketball game with the help of superstar Michael Jordan. They called it: Space Jam. Looney Tunes was the perfect pairing for Jordan because the cartoon characters could carry the comedy. Nike had reservations about the film. It owned Jordan's apparel rights and was concerned about his image. But one look at Space Jam's merchandising opportunities and Nike said – OK, we're doing it. Jordan and the Looney Tunes gang. (Space Jam/Facebook) Filming the movie was tedious work because of the mix of live action with animation, and Michael Jordan often got bored. So to keep him happy, the studio built a basketball court near the set so he could play some ball between takes. Eventually NBA stars like Reggie Miller and Magic Johnson stopped by to play. Then in November 1996, Space Jam was released. The movie was a huge hit. To date, it has earned more than $4 Billion Dollars. Over 200 licensing deals were struck. Even the soundtrack to Space Jam became a hit. Space Jam not only sold a ton of Nike shoes, it also resurrected Looney Tunes and shot the cartoon characters straight into hip-hop culture. And - as fate would have it - those pick-up games Jordan played between takes would convince him to mount a famous comeback with the Chicago Bulls – which would eventually lead to three more NBA championships. 20 years later, Space Jam's iconic status is still rock solid. Jordan says the original Hare Jordan ad was his kids' favourite commercial. Not because Dad was in it, but because Bugs Bunny was in it.